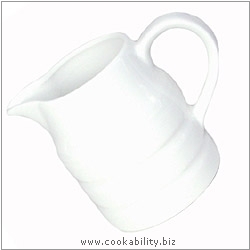 The classic British churn jug was originally used to carry milk from the milking sheds to the farmhouse table. A true classic essential. Made from porcelain and suitable for microwave, oven and freezer.